A great activity for both kids as young as 4 and adults. 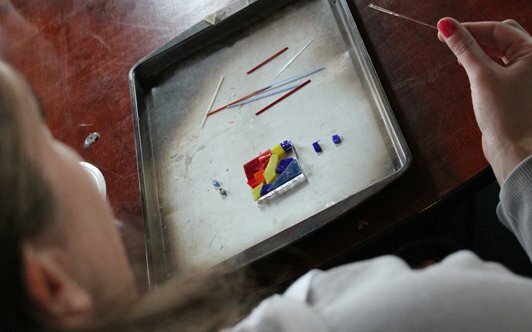 With help from our fused-glass artist, you can design your own artwork using small pieces of colorful glass. Workshops are held on the third Saturday of every month from noon to 4 PM. 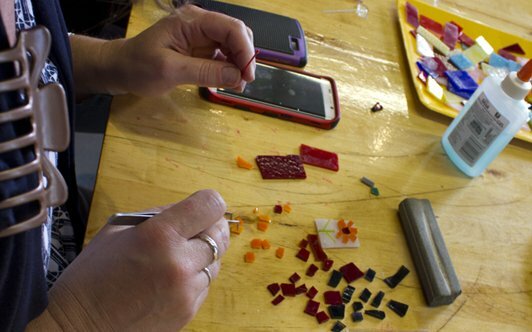 No need to register; just drop by our glass studio when a workshop is scheduled. You can also wow your friends by hosting a private fused-glass jewelry party (great night out for bridesmaids or family fun). 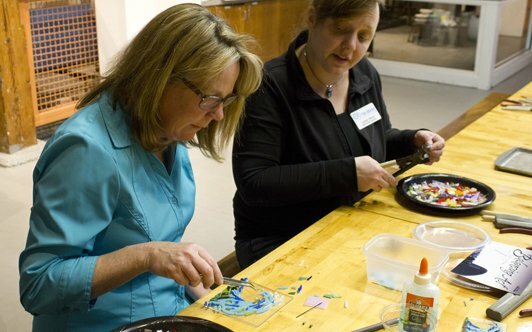 Or, gather your team and book The Works for a one-of-a-kind teambuilding experience where you’ll work cooperatively to create a fused-glass project. 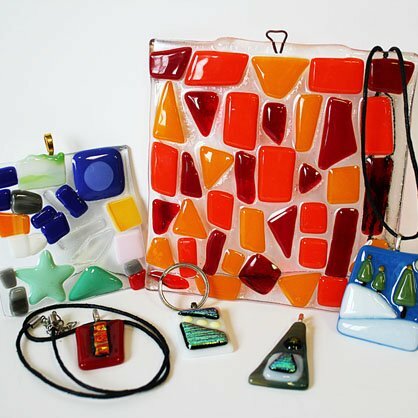 What fused glass can I make? • Fused-Glass Jewelry Pendant or Earrings: Members: $10/ea., Non-Members: $20/ea. • Fused-Glass Magnets: Members: $10/ea., Non-Members: $20/ea. • Glass Handprint: Members: $25/ea., Non-Members: $35/ea. • Suncatchers: Members: $20/ea., Non-Members: $30/ea. Hot glass or fused items must undergo an overnight cooling and annealing process! Your items will be ready for pick-up at the museum the following week, and will not be available immediately following the glass experience. For your safety we ask that anyone participating must wear closed-toe shoes and eye protection for all glass experiences.